Hanoi (VNA) – The European Commission (EC) has decided to re-impose a definitive anti-dumping duty and collecting definitely the provisional duty imposed on imports of certain footwear with uppers of leather originating in Vietnam. 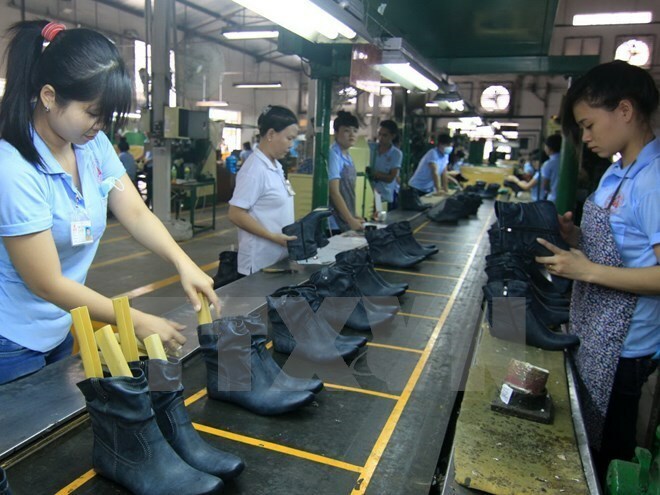 According to a recent statement, the EC announced the extension of anti-dumping measures on Vietnamese footwear with uppers of leather for 15 months. The measures expired on March 21, 2011. The Ministry of Industry and Trade said that in 2015, the EC launched an anti-dumping investigation into the product imported from Vietnam and China. In 2006, the commission adopted a regulation on imposing the anti-dumping duty of 16.5 percent on the product imported from China and 10 percent on that originated from Vietnam. The measures were ended for Vietnam and a number of Chinese firms in 2011. However, in 2010 and 2012, some footwear importers from the EU asked the customs agency to repay their anti-dumping duty paid as they held that the anti-dumping duty imposition was not suitable. The request was submitted to the Court of Justice of the EU for consideration. On February 4, 2016, the court ruled that the imposition of antidumping duties on footwear with uppers of leather from China and Vietnam invalid so far as the European Commission did not examine the MET and individual treatment (‘IT’) claims submitted by exporting producers in the two countries.